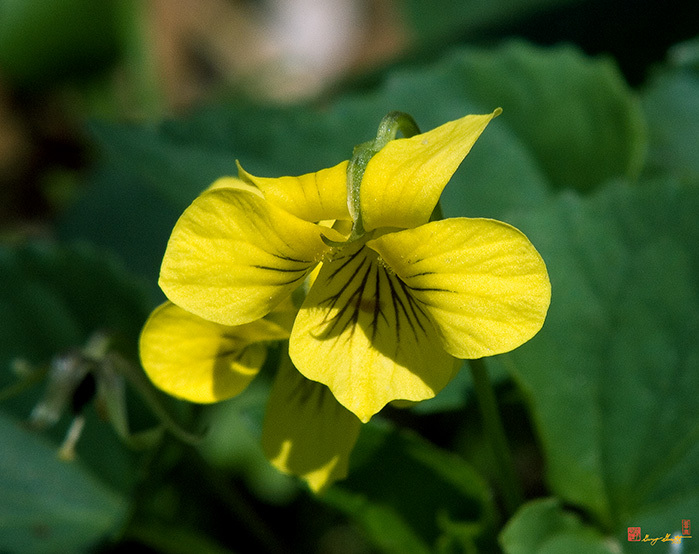 2005 Photograph, Downy Yellow Violet (Viola pubescens). Well, not everything in nature is absolute, and this "Violet" is undeniably "Yellow", Carder Rock, Potomac, Maryland. © 2014.